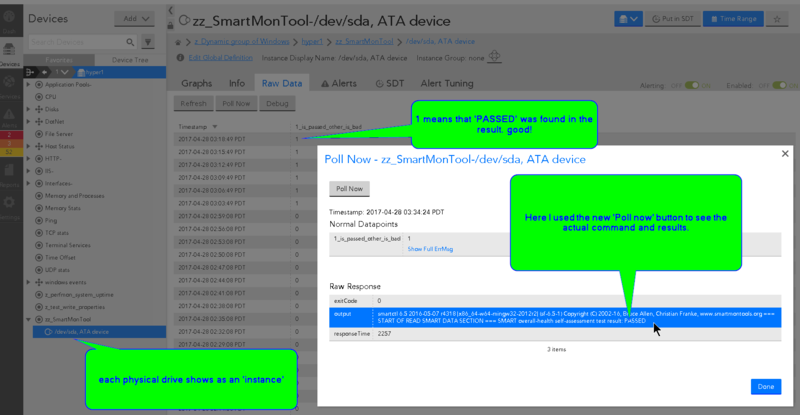 A customer wanted to use a freeware tool called SmartCtl.exe to check the health of physical drives in Windows. I wrote a PowerShell script to do this. It runs the command on the remote/target computers. It checks for ‘PASSED’ in the result and alerts if it didn’t pass. It does this for each physical drive that it finds. Here’s the DataSource file ( link ) for the DataSource that retrieves the ‘attributes and their values’. 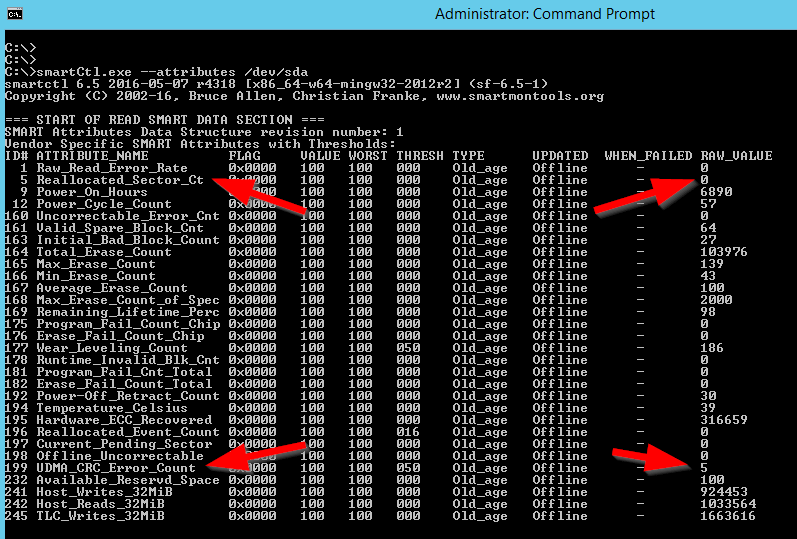 My example only captures ‘Reallocated_Sector_Ct’ and ‘CRC_Error_Count’. Don’t forget to set your desired thresholds (if any). Set the ‘applies to’ in DataSource so it applies to the target computers you want to monitor. Test by looking at ‘Raw Data’ tab.